The city of love with its cheerful and lively vibe makes you want to stay here forever. It is famous for its art, fashion and the café culture. With a timeless beauty and charm, Paris is a friendly city that appears familiar even to the first time visitors. The town is historic and romantic with its iconic and famous landmarks, yet modern and intellectual. This elegant city with the river Seine running throughout has some world-renowned museums and art galleries. A cruise on the Seine or a show at the Moulin Rouge are just some activities that make Paris an unforgettable destination. Located on the banks of the River Seine, Hotel Sezz is located a few minutes’ walk from the Eiffel tower. This boutique hotel has modern and spacious rooms with fantastic view of the Eiffel tower. The luxury hotel with a personalised service offers many services like a Jacuzzi and steam room, a heated pool and the spa. The Spa Sezz is a place for complete relaxation offering an entire range of body and beauty treatments. The spa has two treatment rooms, both well-equipped with a variety of facilities. There is also a personalised service where you can enjoy massages and other treatments in the comfort of your hotel room. Hotel Sezz offers a selection of free films for the entertainment of the guests if they decide to stay here. The hotel’s La Grande Dame bar is a lively space, located across the swimming pool, creating the perfect atmosphere to relax with a glass of wine. This sophisticated hotel, which reflects the French elegance, is set in the 19th-century historical building. 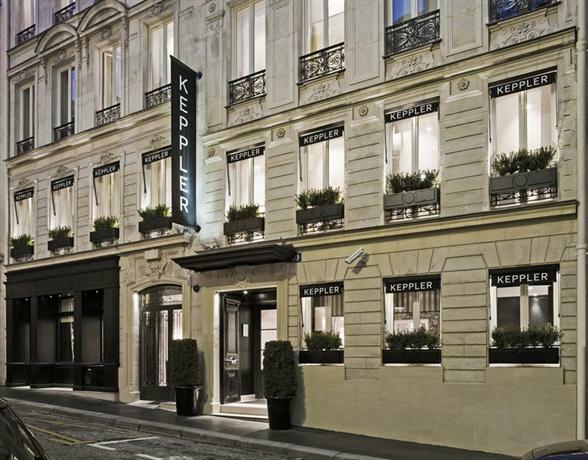 Located in a perfect location, at the crossroads of the Champs Elysees and the famous 16th arrondissement, the Keppler is an icon in itself. With renowned museums and stylish fine dine restaurants, the 16th arrondissement is favourite among travellers that are looking to experience the elegance, culture and romance of Paris. The hotel offers many amenities including fitness, sauna and steam room. Massage services are also available for a complete unwinding experience. The suites and the rooms are beautifully decorated and have balconies, some of which have a view of the Eiffel Tower. The amazing view gets even better at night when the Tower lights up. While located in a popular area, the hotel itself is quiet and charming making your holiday perfect. 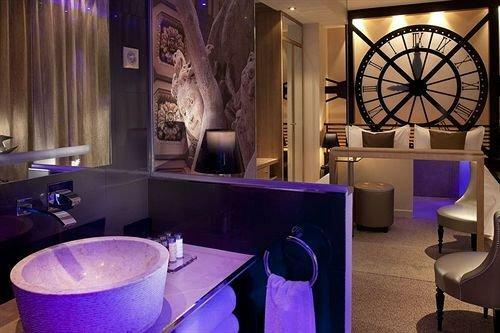 The boutique style hotel is just a short walk from the Arc de Triomphe. 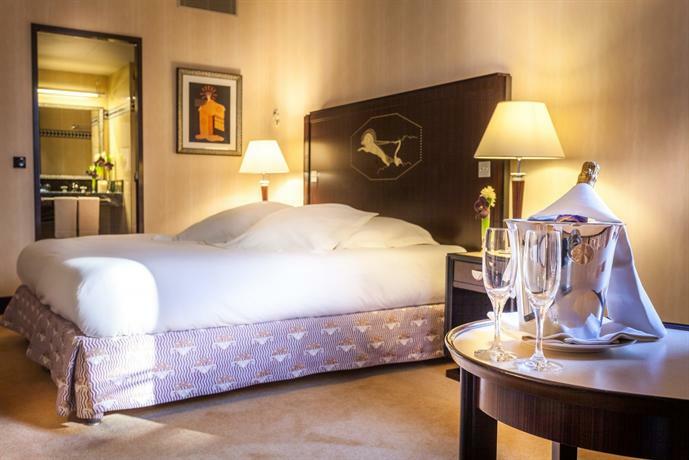 Hotel Du Collectionneur brings the art deco elegance and style in the heart of the city. Apart from the outer façade, the bold and modern style is reflected in the beautifully done rooms. Some of the rooms also have a private terrace with astounding views of the city. The Mosaic Spa present in the hotel is a haven of peace and relaxation. The floor decorated all over with a soft-toned mosaic complements the character of the hotel. The spa has ten cabins with Jacuzzi and various other amenities that guarantee the perfect calming and soothing experience. The Le Safran restaurant and terrace serves French and international cuisines. You can enjoy meals on the terrace, the winter garden or the patio for a quiet and romantic ambience. The Purple Bar with its cosy atmosphere and delicious food and cocktails is one of the most popular venues in Paris. This hotel, situated in a beautiful 19th-century building, is an elegant boutique hotel in Paris. It is located at a walking distance from the Champs Elysees and to the Grand Paris Museum which makes it perfect for those who wish to have the authentic Parisian experience. The rooms have views of the beautiful courtyard and are soundproofed, for a quiet and relaxing stay. The dining facilities at La Maison are excellent. The La Table Du Huit Restaurant serves a buffet breakfast and traditional French cuisine. During the summer months, the terrace is open where guests can enjoy the meals in vibrant and green surroundings. The Blind Bar has a unique dark and intriguing ambience, which reminds one of Cigar Bar’s mysterious smoking room. With a built-in fireplace, which creates a very intimate character, the bar is one of Paris’s famous spots. 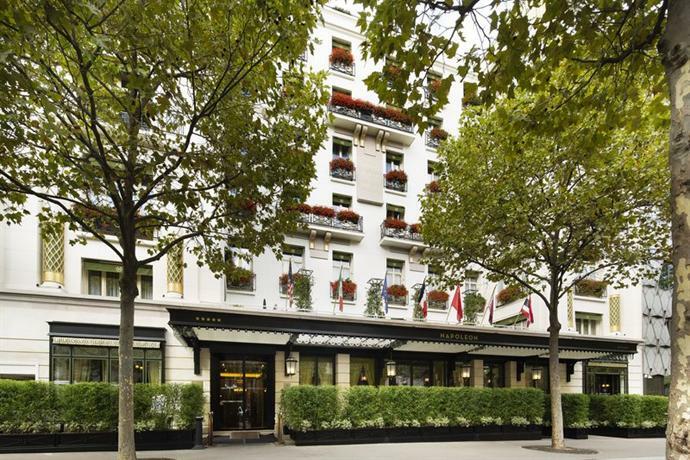 Hotel Napoleon is a 5-star property located near to the Arc de Triomphe and the Champs-Elysees. This hotel has an intriguing romantic story behind its establishment. The hotel was a gift from a wealthy Russian man to a young Parisian girl whom he had met and fallen in love. The hotel retains the romantic legacy in its plush and luxurious rooms that either overlook the lively street outside or the beautiful courtyard of the hotel. Le Bivouac is the hotel’s restaurant/lounge, with a relaxed and cosy atmosphere. This sophisticated restaurant offers a terrace seating as well which overlooks the Avenue de Friedland, thereby giving guests the opportunity to experience the Paris street life while enjoying the delicious meals. The hotel also has a fitness and well-being centre, where some exclusive spa and massage treatments are offered for the complete relaxation and well-being. This unique and elegant hotel with a dedicated art gallery is one of the best places to stay in Paris. Located at walkable distances from some famous Paris attractions, the hotel is also well-connected by public transport. Close to The Champs Elysees, Avenue Montaigne, and Rue du Faubourg Saint-Honore, Elysees Mermoz is in a delightfully quiet yet a bustling area of the city. There are many cafes and shops nearby, which the guests often love to explore. The boutique style hotel has earned an excellent reputation for its services and high standards. The hotel has a Parisian charm about it which always reminds the guests that they are in the glamorous city. The rooms are each uniquely decorated and cater to all possible needs of the guests, ensuring a comfortable stay. The Relais boutique hotel is located in the Latin District, which is close to the river Seine and the famous Notre Dame cathedral. The enviable location of the Relais Hotel Du Vieux is one of the main reasons that the hotel is so popular among the visitors. The hotel offers a personal touch in all its services. From a welcome with flowers to providing museum passes to avoid the long queues, the guests are treated like royalty during their trip. The ever-so-courteous staff is present to cater to various needs of the guests. The hotel maintains a quiet and charming setting, despite being in a popular area of the city.The rooms and suites are each uniquely designed with fabric wallpaper. Plush and luxurious interiors of the rooms offer comfort and relaxation to the occupants. The Paris Marriot Opera Ambassador Hotel, with amazing location and sophistication, is a magical place to stay. Situated in the famous Opera district, the hotel greets the guests with its opulence and elegance as they enter. The hotel is housed in a historical building that gives an old-world appeal to the hotel. The rooms are luxuriously maintained and offer the highest degree of comfort and have Art Deco décor. Some rooms also have balconies which overlook either the beautiful rooftops of Paris, or the Opera Garnier, or even the iconic Eiffel Tower! The warm and quiet environment of the hotel gives it a very serene feel. The hotel has excellent dining options which are popular among Parisians. The 16 Haussmann is a sophisticated restaurant serving authentic French cuisine. Bar Lindbergh is also very popular and offers a diverse cocktail menu. An ancient Napoleonic residence transformed into a boutique hotel, L’Empire offers a different kind of charisma in the heart of the city. 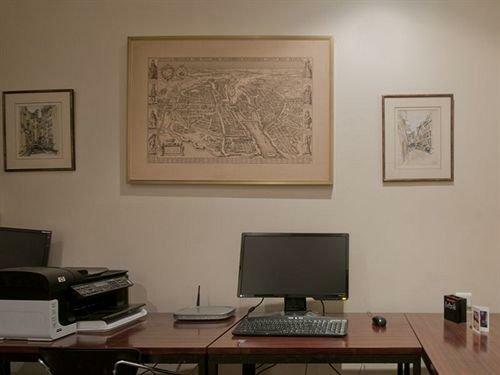 The hotel has a very desirable location, situated 300 m from the Louvre Museum. Tuileries Garden, Saint-Honore Street and Notre-Dame are just five minutes away from the hotel. This amazing location is ideal for families and couples alike. 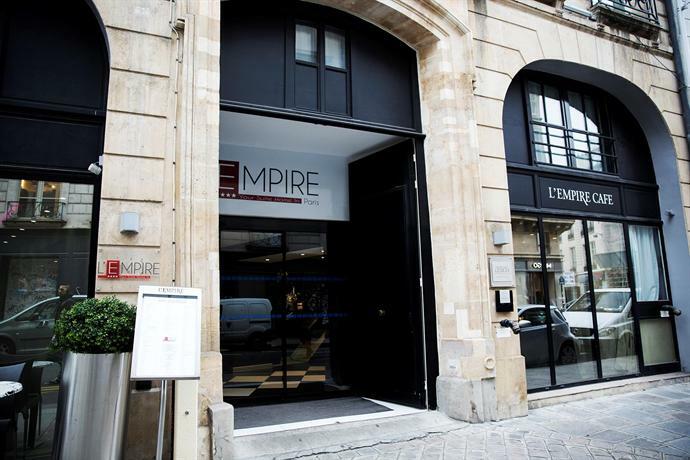 L’Empire tries to bring the local life of Paris in its spacious rooms which resemble Parisian apartments. The hotel has all facilities for couples looking for a romantic getaway. The wellness area of the hotel offers a chance to relax and unwind in complete privacy. Apart from Jacuzzi and a sauna, massages and beauty treatments are also offered. Duo massages are also available which can be enjoyed by couples. 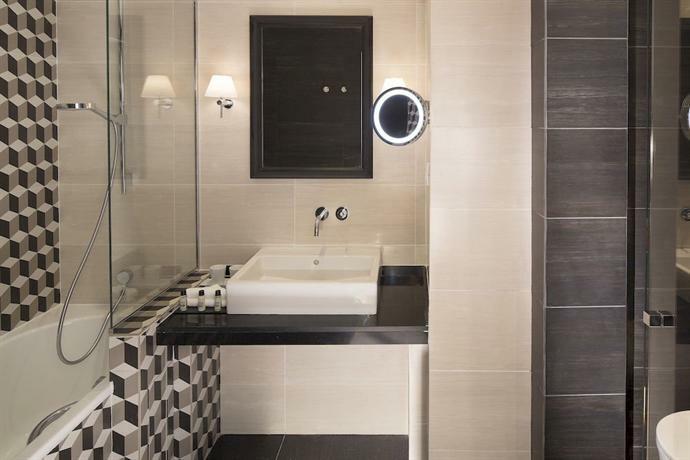 This boutique design hotel offers luxurious and exclusive stay in the city of love. It provides all the comforts and amenities in a very romantic atmosphere. Candles are present all over in the hotel adding to the very romantic ambience. The rooms are designed in a very tasteful manner, and each has been inspired by a famous monument of the city. These soundproofed rooms have mood lightings that are just appropriate for intimate and cosy unwinding. The guests are served a buffet breakfast in the restaurant or the hotel room. The hotel offers ample opportunities for relaxation. The spa centre offers a variety of massages, and also has a sauna and a hammam. The soothing atmosphere of the spa centre makes it the perfect place to unwind after spending the day exploring the city. 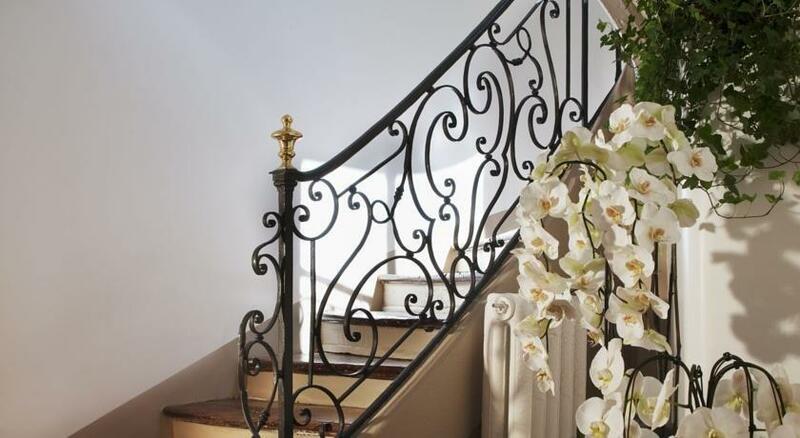 Elysees Regencia is set in a neoclassical building in the famous 16th arrondissement of Paris. 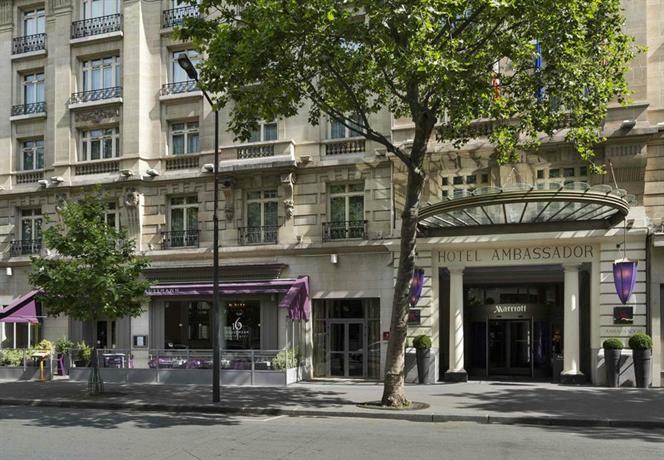 This classy hotel is situated close to the Arc De Triomphe. 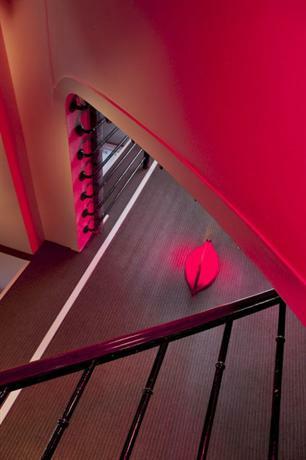 The Eiffel Tower and the Seine are also within walking distance to this incredible hotel decorated in a designer style. The rooms at the hotel are soundproof and coloured in bright colours giving a distinct and unique character to the room. Some rooms offer great views of the Eiffel Tower. The staff are courteous and ever-helpful and are always willing to assist the guests with their travel plans. The boutique hotel offers all amenities needed for the perfect break. The well-being area of the hotel offers massages to unwind and experience the feeling of complete harmony between body and mind. Located across from the National Assembly, this former 18th-century mansion is an enchanting hotel in the heart of the 7th arrondissement. With the appearance of a private residence, the hotel still has all the original features of a building typical of the period. The hotel reflects the historic architecture and heritage of Paris, as well as its romantic character. The rooms are exquisitely designed and are variations of the theme of the hotel. The rooms on the mezzanine floors exude warmth with their low ceilings and the original windows. The rooms on the other floors have the high ceilings more common of the 18th-century buildings. The spa is just as luxurious as all other facilities. Many massage treatments are offered which can be taken in the private massage rooms. The sauna promises to give the guests peaceful moments. 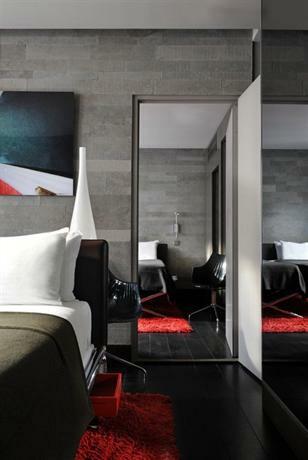 This ideal 4-star hotel offers an elegant stay in one of the liveliest areas of Paris. The hotel is perfect for people looking to experience the Parisian charm. The luxurious and extremely spacious rooms give a royal experience to the guests. These soundproofed rooms are decorated with velvet curtains and vintage furnishings and offer stunning views. 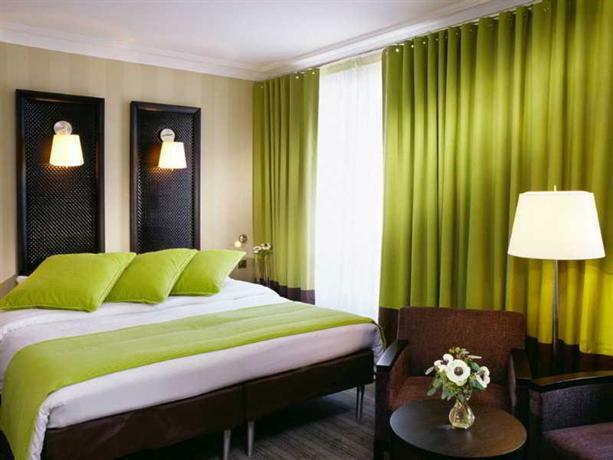 This boutique hotel is close to the major attractions of Paris, such as the Louvre and the Luxemburg gardens. The quiet and peaceful environment inside the hotel is a world away from the bustling Parisian street on which it is located. Various cafes line the street, giving guests a fantastic choice and the authentic French café culture experience. The hotel also has lounge bar which offers a cosy and intimate atmosphere. The ambience has been created to resemble the 18th-century boudoirs. Hotel D’Angleterre is located on the left bank of the Seine and offers a beautiful and quiet environment in the centre of the bustling city. The hotel has a fascinating history. It was home to the British Embassy in the 18th century. Some famous historical figures have stayed in the hotel, marking its rich historical significance.This charming hotel has a beautiful courtyard in the centre. The delicious breakfast can be enjoyed in the comfort of the rooms, in the breakfast room or the hotel garden if the guests wish to enjoy the Parisian weather. 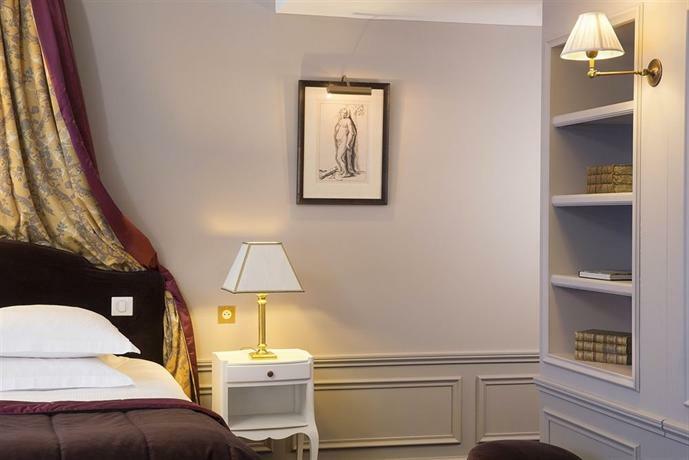 The hotel is located on a quaint street in Saint Germain des Pres, which has many classic literary cafes. The area is also home to the oldest church in Paris which dates back to the 11th century. There are many art galleries, fashion boutiques and numerous antique shops in the vicinity. A chic and glamorous hotel located on a Latin Quarter side street, the Seven Hotel aims to provide an exceptionally unique experience to its guests. This designer hotel has individually themed rooms and suites and offers a magical experience to the guests. Their interiors are anything but ordinary and have interesting effects due to the dramatic lighting. The comfortable seating and beautiful surroundings on the patio make it an excellent place to sit while enjoying moments of calmness. Guests can also relax with the exotic massages which are arranged on request. The hotel also has a stylish bar and lounge which is perfect to enjoy the choicest champagnes and cocktails. Guests are served an extensive buffet breakfast, which can be enjoyed in the breakfast room or the privacy of their rooms. The hotel is perfect for couples willing to indulge themselves in luxury.